When you want to travel around Sydney, especially from the city’s main airport to your hotel room or a distant Sydney suburb, you would definitely love to have transfer services that will lessen your travel time and yet be luxurious. Star Shuttle is one travel company you can rely upon in Sydney to provide you quality and affordable Sydney airport bus or Sydney airport shuttle for you 24*7. We have the modern and well maintained buses and shuttle to take you to different places in Sydney. We are also glad to have experienced and friendly drivers working for us as they are experts in tour management and are familiar with various city routes. 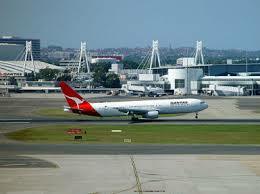 Why should you choose our Sydney airport shuttle or Sydney airport bus services? Star Shuttle specialises in providing door to door services in Sydney in the best possible way. Whilst our service rates are low, we are still high on quality. We make sure to provide different types of buses and shuttles to make sure your travel requirements are taken care of by us. So if you are travelling with 5 or more people, do not hesitate to give us a call or send us an email requesting for transfer services. We will be glad to hear from you and provide services according to your needs and well within your budget. Star Shuttle provides Sydney airport bus and Sydney airport shuttle services with a host of benefits for our customers. For example, once you have arrived at Sydney airport with your co-travellers you will straight away be greeted by our friendly driver and will be lead to a bus that will be waiting for you in the parking lot. Once you are comfortably seated, you will be taken away to your destination in the shorted possible time. You will not be sharing your bus with other passengers. A host of interesting and modern facilities will be waiting for you in the bus so that you will have a comfortable travelling experience in the city. If hassle free and luxurious ride in Sydney is top of your agenda, then consider having Sydney airport bus or Sydney airport shuttle services provided by Star Shuttle. We provide best-in-class transfer services in the city at unbeatable rates! previous post: Coach Charter Sydney Services that will make you feel like King!